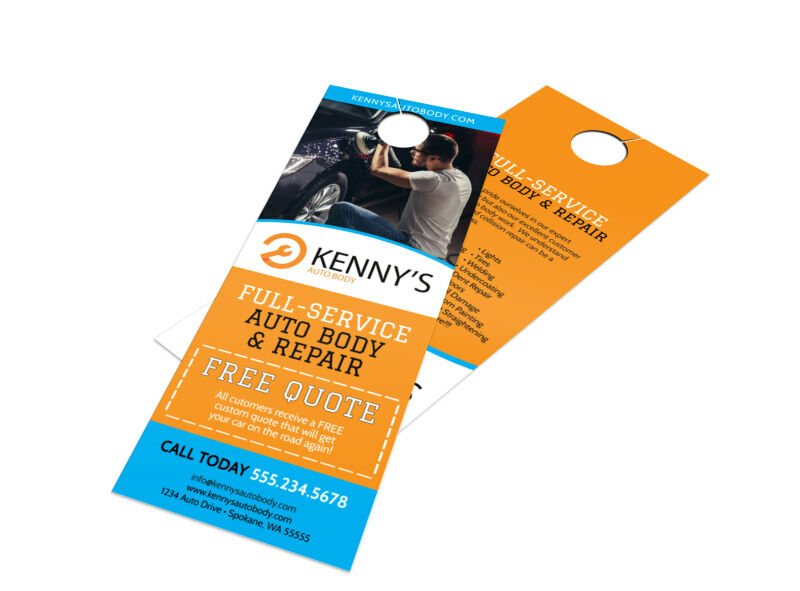 Customize our Free Quote Auto Repair Door Hanger Template and more! Offering free quotes for auto repair? 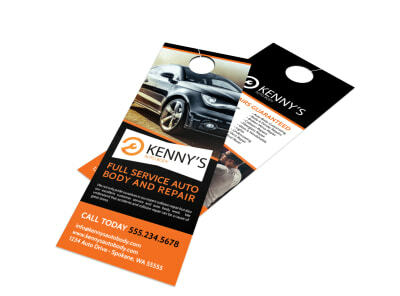 Let local car owners know with a promotional door hanger for your auto repair business. Easily design your very own company door hanger by uploading relevant images, text, and more using our online editor. 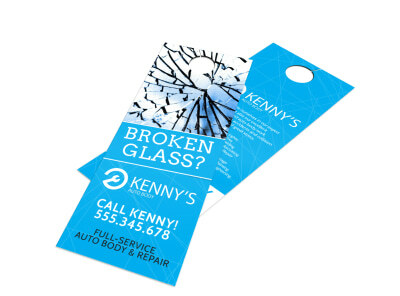 Print your project from anywhere when you're done, or leave that part to us so you can focus on getting clients’ cars back on the road.